Legendary creatures such as Bigfoot and the Loch Ness Monster hold endless fascination for people around the globe. Do these creatures really exist? Countless eyewitnesses say yes, and scientists are discovering new animal species every year, so perhaps it isn't impossible. But how would such large animals survive? Where would they live, and what would they eat? 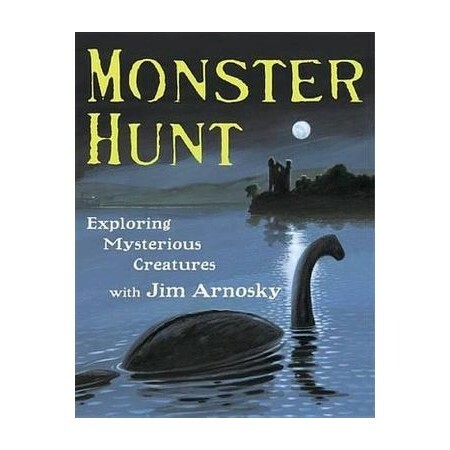 In Monster Hunt, Jim Arnosky presents mythical creatures of the past and gigantic prehistoric animals that have survived to the present. He examines accounts of Kraken, Bigfoot, and Nessie, and then invites readers to join him in exploring what might be living in the deep waters of Lake Champlain. With its combination of folklore, natural history, and field research, this beautifully illustrated book is ideal for anyone who is curious and enjoys a little mystery.